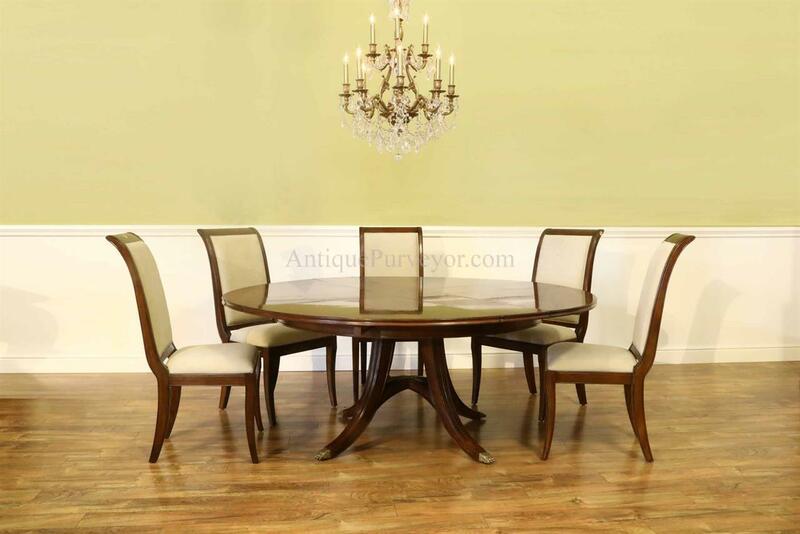 Description: High end round mahogany dining table that expands to sit 6-8 people with its use of hidden leaves. 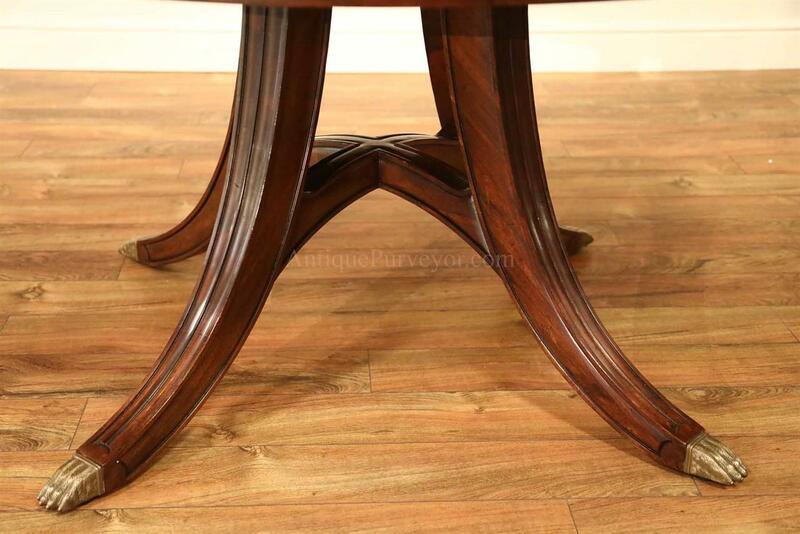 The leaves fold away right inside of the table, making it extremely easy to open and close. 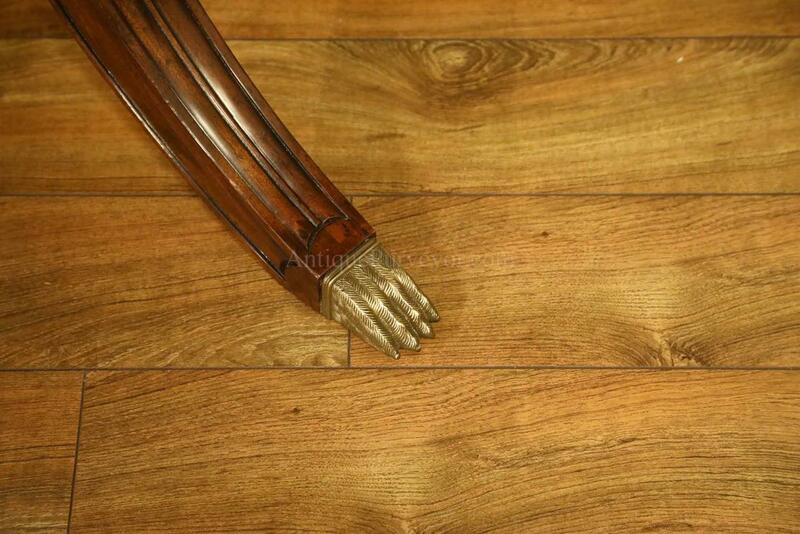 The table is a regency style with sabre legs which end with brass lion's feet at the bottom. 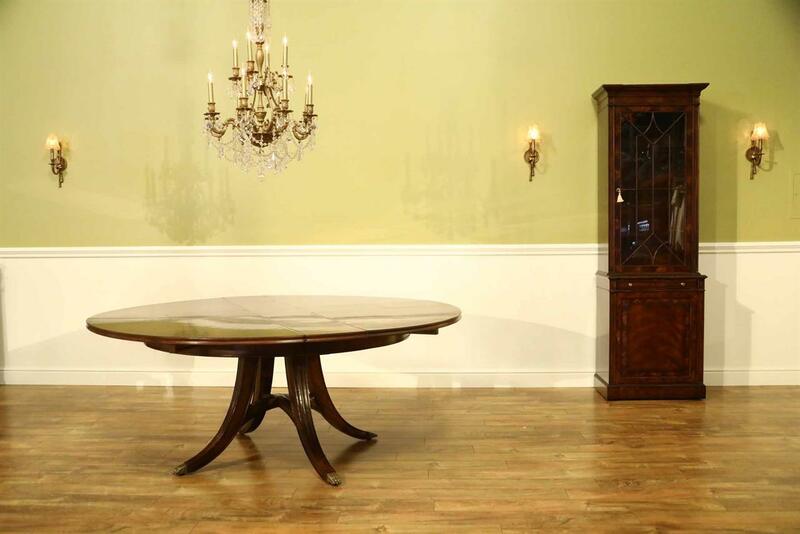 The table starts at 59 inches but opens to 74 inches. 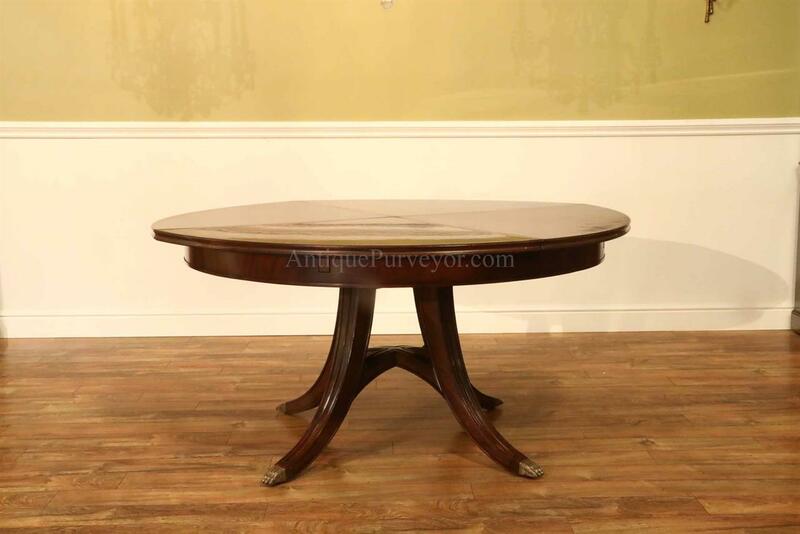 Table can be opened and closed easily and it only takes one person to maneuver the table extensions. 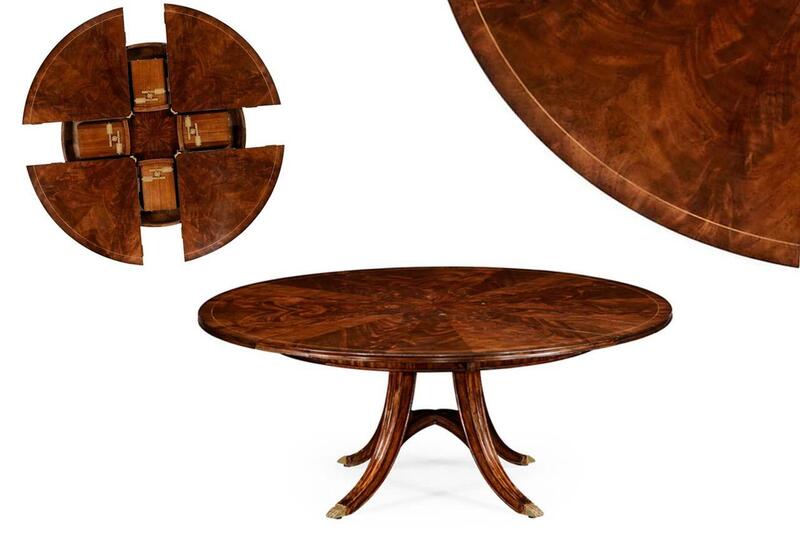 The table top spins and each of the four sections expands outward and alows the folded leaves to open into place. 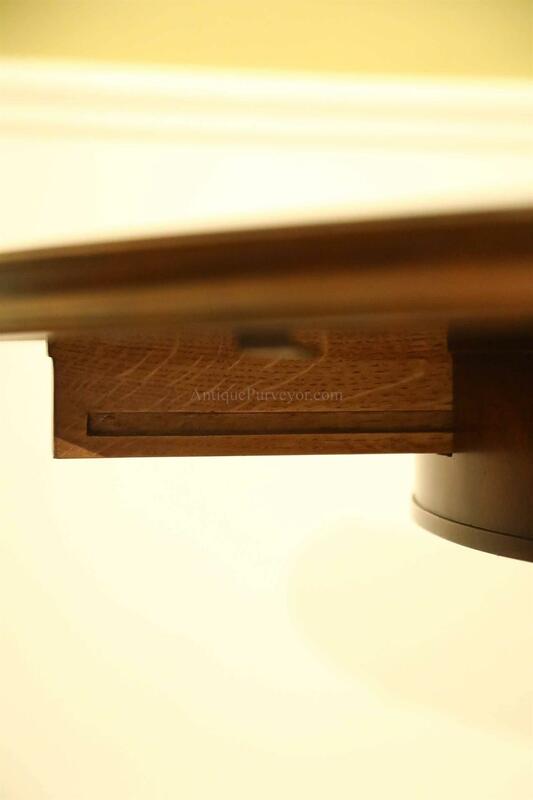 Table features an extremely solid construction. 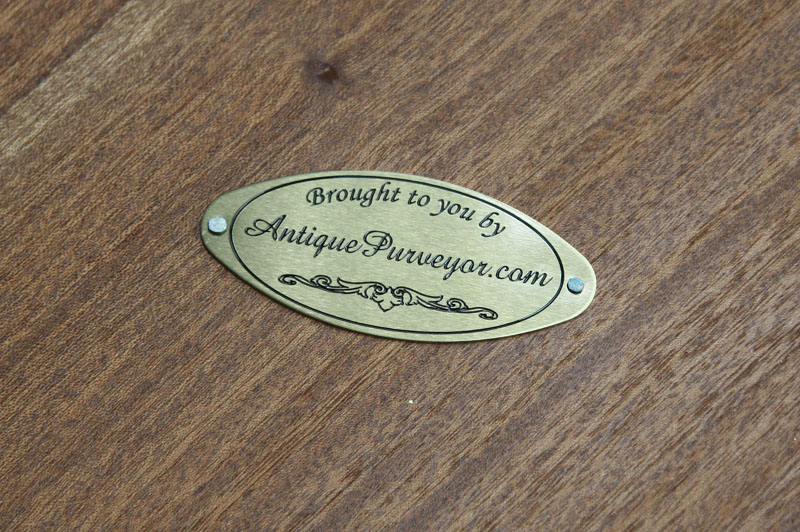 Deep brown mahogany finish.